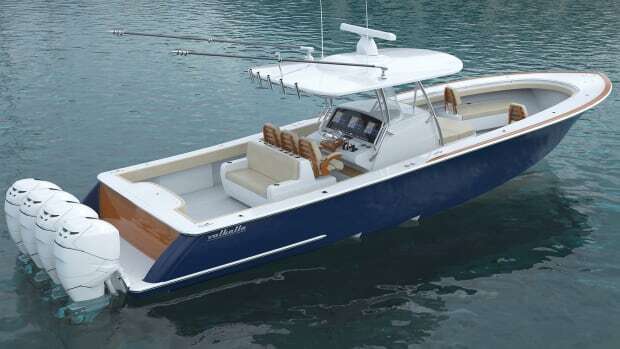 It’s what the Regulator 26XO didn’t have that separated it from the pack at the Miami International Boat Show: dual, triple, quad, quint or hex (yes, a pair of boats boasted six) outboards on the back. You could be forgiven for almost feeling sad seeing the lonely single F300 Yamaha sitting idle without a couple siblings for it to play with. 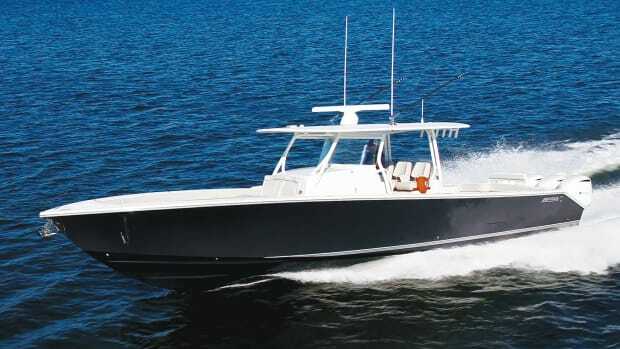 But what it lacks in company it makes up for in power: This little engine that could is said to give the 5,900 pound 26-footer a top end of 40 knots. 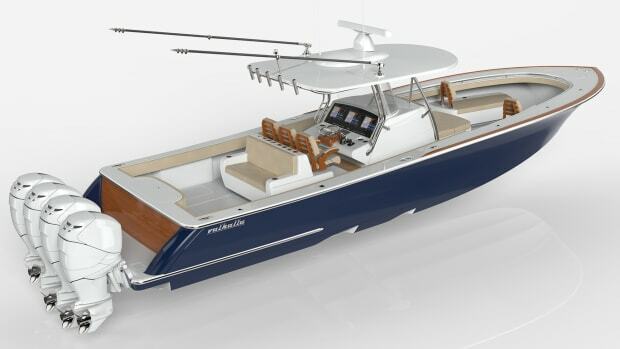 Don’t feel too bad for this only child; it’s poised to get plenty of attention, as was the case when it debuted in Miami where hundreds of serious boaters came from all over to meet the newest addition to the Regulator family. 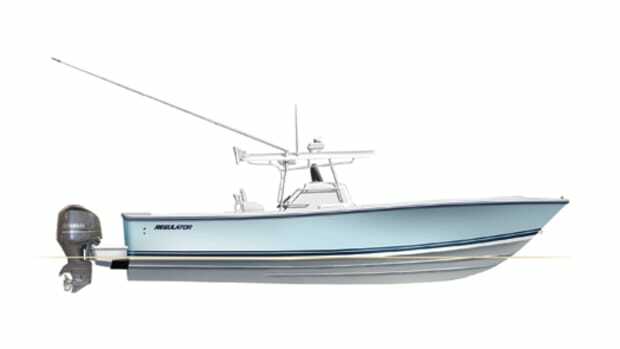 “I think this boat is going to suit a lot of people’s needs, especially that inshore angler that uses a trolling motor but also likes to go offshore,” said Sisson as he flipped up a forward sunpad cushion to reveal an ample-sized casting platform within reach of the trolling motor. 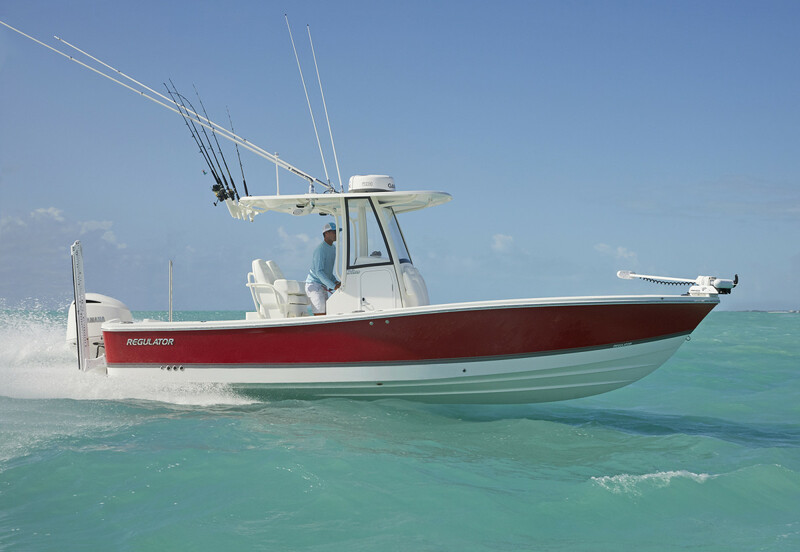 The XO moniker stands for crossover, and the name fits: The 26 seems like the ideal blend of bay boat and bluewater center console. 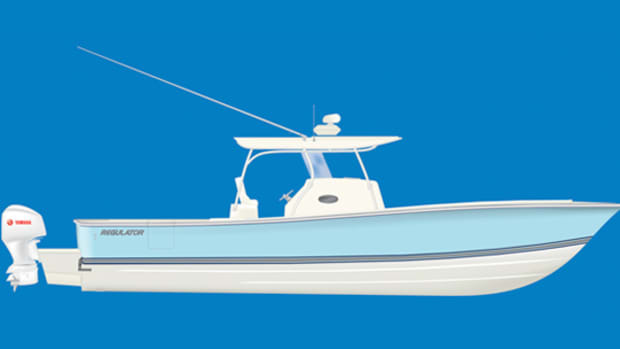 (The builder produces boats up to 41 feet.) “Some people are calling it a hybrid, some are calling it a crossover, but we just call it a Regulator,” said an excited Regulator President Joan Maxwell. 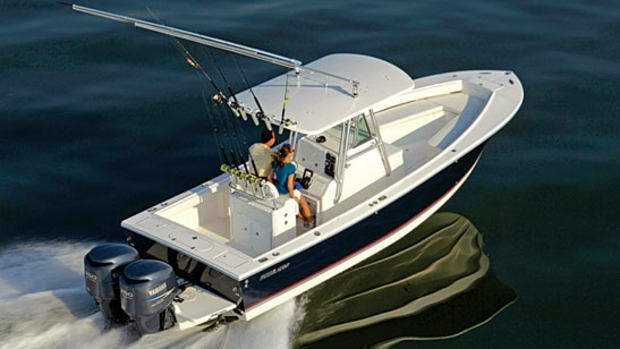 On some boats you can tell immediately if it’s solidly built. The 26 is one of those. 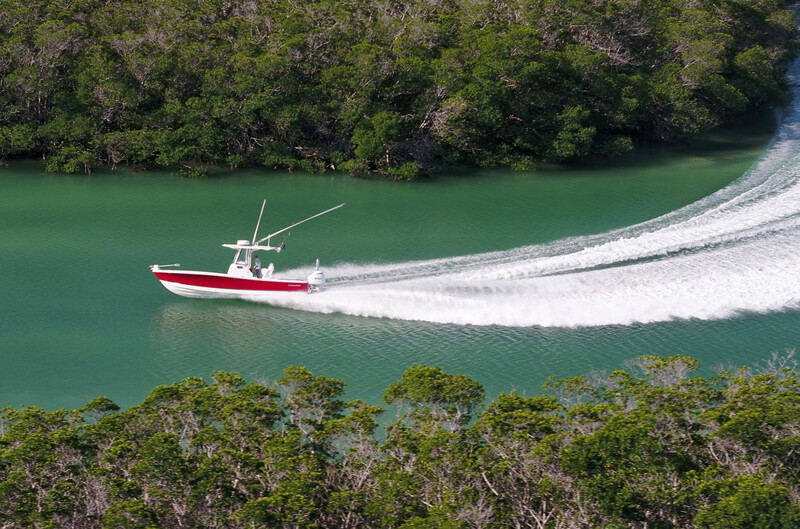 The dock is usually a tough place to judge a boat’s stability, but this was no ordinary dock. About a dozen people a minute were circling through the boat like an amusement park turnstile. 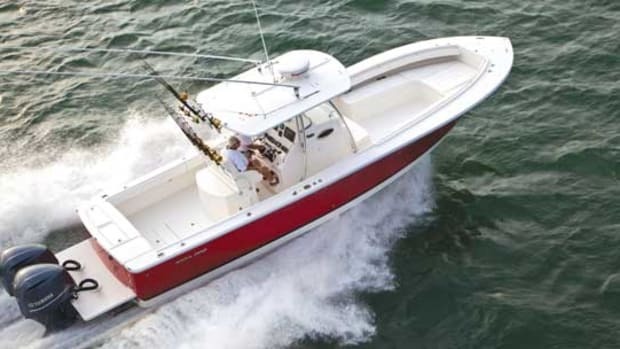 With all the people jumping on and off you could easily see how much the boat rocked, or in this case, didn’t; it was clear that the 26, with its 17-degree deadrise at the transom, is tough and in no way tender. 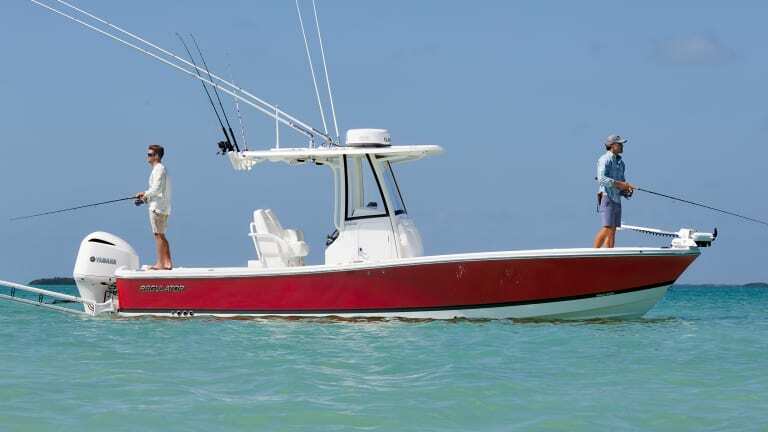 That said, this boat has a shorter freeboard than the rest of the Regulator lineup so I’d pick and choose your offshore days carefully. 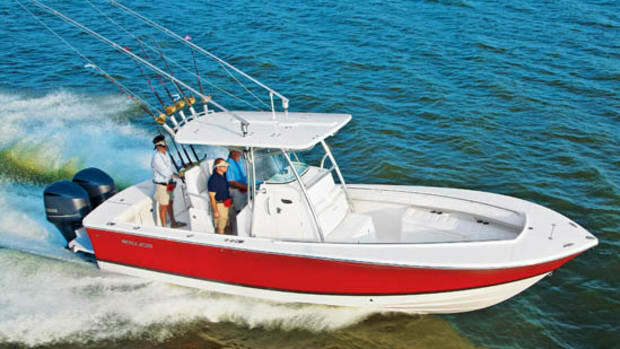 A Garmin electronics package is standard aboard the 26. A standard electronics package is new to Regulator but makes sense when you remember that keeping the cost low was a premium for the Edenton, North Carolina builder. 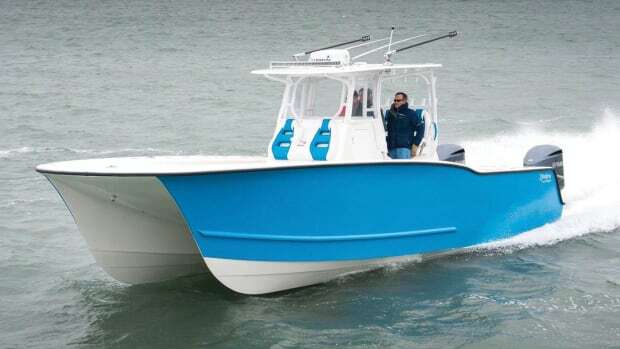 “This is a great boat to bring people into the sport and we’re told this will be the first in a new family of boats,” concluded Sisson before we ran off to cover the rest of the show. As we were leaving the display, we saw a long line form down the dock. It’s safe to say this family is going to be growing quickly.